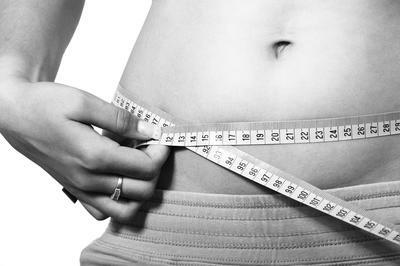 How does Bariatric Surgery help with weight loss? Today we are going to discuss one of the most commonly requested surgeries by patients who wish to lose weight: the gastric sleeve. This restrictive, bariatric surgery technique has become common due to its success in the achievement of weight loss. It is, in fact, currently regarded as one of the best techniques for the treatment of morbid obesity, allowing the patient to control their appetite by limiting the size of their stomach and producing a weight loss of approximately 25 to 35 Kg. The operation consists of reducing the width of the stomach by around 2 to 3 cm, making it into the shape of a sleeve, hence the name. When the external part of the stomach is removed, a part containing hormone secreting cells which stimulate appetite is also taken away, the patient therefore eats less after surgery. The food also passes quickly through to the intestine as the stomach is reduced to a vertical tube. As a result, although normal digestion of food takes place, it is reduced due to the decreased capacity of the stomach. At Vithas Xanit International Hospital, belonging to the Xanit Healthcare Group, we have a team of professionals highly specialised in minimally invasive surgery, for this reason, the great majority of these operations (including the gastric sleeve) are normally performed laparoscopically. The surgery is performed under general anaesthetic and the patient is usually in hospital for 24 hours. Comments for How does Bariatric Surgery help with weight loss? 👏Thank you Vithas Xanit Hospital! Thanks for sharing this update with the community in Marbella. For more details, visit Vithas Xanit Hospital.